Those who remember Brother "Shark" Kelly most likely remember him as an athlete. A Washington, D.C., native and graduate of Gonzaga College High School, Mike was a three-sport athlete, excelling in basketball, football and tennis. He could have easily had a basketball scholarship somewhere. Instead, he decided on UNC at Chapel Hill, Phi Delta Theta and what would be a highly successful “blue team” intramural career — one in which the Phi Delts never lost a regular-season basketball game and were IM champs his senior year. He was also named best all-around intramural athlete his senior year. Following his UNC graduation with a degree in religion, Mike enrolled in Georgetown School of Medicine and completed his orthopaedic training at Columbia Presbyterian Hospital in New York City. He received additional fellowship training in knee surgery at the the well-known Hospital for Special Surgery. Here, he started working on designing knee replacements and soon became one of the premier orthopaedic surgeons in the U.S. Mike left Columbia in 1991 and became a founding member of the Insall Scott Kelly Institute for Orthopaedics and Sports Medicines. 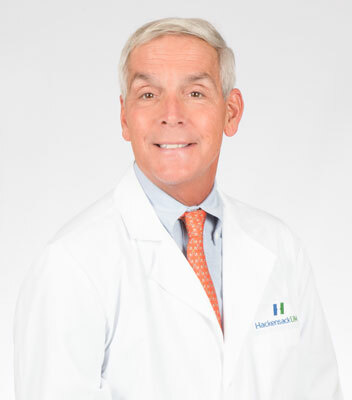 A specialist in hip and knee reconstructive surgery and orthopaedic sports medicine, Mike is currently the chairman of orthopaedic surgery at Hackensack University Medical Center and a clinical professor of orthopaedic surgery at Rutgers Medical School. Mike married wife Sarah in 1987. They have lived in Franklin Lakes, N.J., since 1988. Their son, Michael, is a graduate of Loyola University Maryland and is currently working for Morgan Stanley. Daughter Alexa is a junior at Manhattan College and is studying business and marketing. Approximately 17 years ago, at age 46, Brother Kelly was diagnosed with advanced prostate cancer. He underwent radical prostate surgery, but the cancer returned. Since that time, Mike has continually been fighting prostate cancer, presently taking medicine daily with regular evaluations. Doing his best to attack his prostate cancer, Mike was then diagnosed with metastatic colon cancer. Again, he underwent surgeries to remove the cancer, followed by nine months of aggressive chemotherapy. However, there were complications from the treatment including neuropathy in his hands and feet, and he faced some very difficult days over this time. The colon cancer returned after four years. Mike underwent additional successful treatment. He continues with frequent testing even today. Mike stopped operating four years ago but still sees patients twice a week. He also continues to travel and lecture around the world. One of the ways Mike has worked on his own treatment and recovery has been reuniting with old friends. 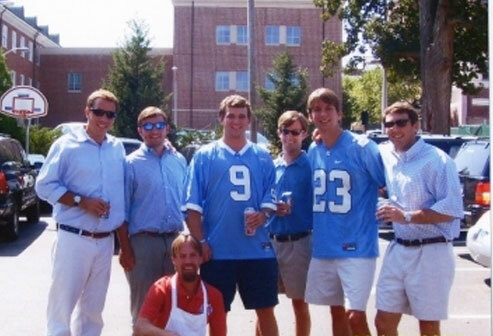 He attended a Phi Delt reunion three years ago in Charleston and again this past June as the classes of 1972-76 reunited in Chapel Hill for a classic reunion weekend.